What kind of flooring in Singapore you choose will have to do entirely with the room. Large busy patterns in a carpet will help to reduce the appearance of the size of a room and are better for larger rooms. Certain types of carpet are better suited for high traffic and others will lend to traditional over contemporary look and style. The type of carpet flooring in Singapore you choose should depend on the sort of use it gets and the traffic it sees. High traffic areas that see a lot of moisture like areas around entrances will do better with a more durable carpet while with carpet flooring where children are playing on it that may require a softer, plusher solution. There are several types of popular carpet flooring available today. Textured plush carpet is one popular cut-pile style flooring in Singapore. This is a style that is made for busy households because it makes a great whole house carpet flooring solution due to its decorative versatility and ability to provide casual beauty to a room. It has a textured surface to hide footprints and vacuuming marks and looks good in between vacuuming. Saxony Carpet is a sleek, cut-pile surface flooring in Singapore that is often used in living rooms or dining rooms. It has a soft, smooth, and luxurious finish and lends to the beauty to traditional interiors due to its subtle highlights and accents. The Berber loop pile carpet flooring has the appearance of wool and a durable surface with subtle patterns that compliment a good variety of room styles. The tight loop texture of this carpet style helps hide foot prints and vacuuming marks as well. It is common in cottage, contemporary and country style homes. The Berber cut-pile is a relatively newer style of carpet flooring in Singapore that goes well in casual and children's rooms that has the plush feel of cut-pile carpet and is available in a variety of different colors. It features color flecks that help hide dirt between cleanings. If you have an idea about what you would like in terms of flooring Singapore, it's time to visit several carpet and flooring stores to consult the experts to assist you with the final decision. A good carpet flooring consultant will ask you questions relevant to the traffic and usage your carpet will receive, the style and décor you are trying to achieve with your home, all while considering your budget. By shopping around you may discover better carpet flooring alternatives at less expensive prices. The most important factor of selecting carpet flooring is the need to look at the function of your flooring. You would want to pick something stain resistant and easy to clean for a dining room where food and drink can be spilled. Alternatively you would want something soft and plush for a living room or a children's playroom. You should always find a quality product that will give you many years of use over a less expensive lower quality solution. You partner may find yourself possessing the necessary handy person skills required to install a carpet on your own. If not, a professional installer would be advisable. A professional installer will consult you on how the flooring will be installed and will perform the installation with the minimum amount of waste material and in the best economical way. Most of the shops you can purchase carpet flooring from offer professional installation. For bathrooms and kitchens, carpet flooring may not be an ideal solution. That's when it's a good idea to consider tile flooring in Singapore in order to ensure the most functionality from your home. Tile Flooring in Singapore can often be discussed with your carpet flooring consultant. Every home is different, so it's important to know what to look for in carpet flooring. Singapore professionals can help guide you through all of the decisions. When you decide you need new carpet flooring, Singapore has many choices for you to select from. If you go into a carpet showroom without a clue as to what you want, the amount of choices can be overwhelming. To avoid this, it's better to have a general idea of what you want so that a professional within the store can help you decide on the best carpet for your home. As you shop for carpet in Singapore, there are several different factors you should consider. You must pay attention to who lives in your house and how much traffic your carpet gets. 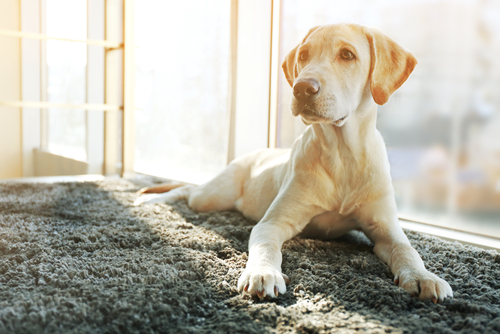 If you have children or pets, your carpet is exposed to different things than if you only have adults living at your residence. You may even decide that carpet isn't the best option in every room. If you decide on a wood floor, Singapore homeowners don't have to worry about staining or spills. A simple mopping will get rid of any dirt and debris and have the floors looking like new again. The only issue with wood floors is that they are more expensive than carpeting. 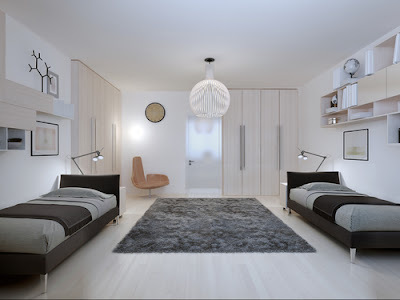 Should you change your mind and want a wood floor, Singapore professionals can give you quotes on how much it would be. There are many options of wood flooring to help keep the prices low, too. This includes an engineered floor where only the top layer of the floor is made form hardwoods and then there is laminate, which is made of melamine instead of wood. 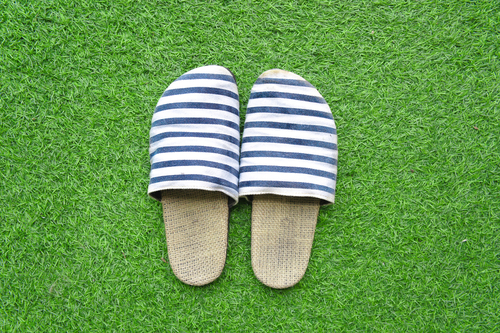 Ultimately, if you decide you want carpet, Singapore professionals will ask you a number of questions on foot traffic so that they can steer you in the right decision regarding the specific fibers. If you have a lot of people walking on the carpet, you will want to stick with a nylon or olefin carpet fiber. The reason is because these are more stain resistant than the polyester and polymer blends that are on the market. When you're deciding on the best carpet flooring, Singapore stores should have samples of them. Slide off your shoes and walk on each of the samples barefoot or rub your hands over them. This could be the carpet in your home, so make sure you like the feel of it. This can save you a lot of trouble later on and make sure that you're happy with the carpet that is eventually installed. After you decide on the fibers for the purpose of stain resistance, you need to talk about the style of the carpet. Berber, plush, frieze, sculptured and other styles exist. Look at samples to understand what each one is. Frieze has become popular recently because it feels like wool, though plush has always been common within homes as well. The color of your carpet in Singapore must also be decided. One of the best ways to choose the color is to choose something that goes well with the other characteristics of your home for a good transition from room to room. If your kitchen or bathroom has a wood floor, Singapore professionals can help you find a shade that coordinates well with the particular wood of the flooring. Once the carpet flooring in Singapore is chosen, the flooring company can help you install it professionally so that it fits well and looks great. You can then sit back and enjoy your new carpet, knowing it's the best choice for your home. As the real estate becomes increasingly robust, the interiors and exterior designers are also becoming more and more creative in their beautification works. Among the current beautification works that are causing a buzz in the industry is the artificial grass installation. Installation of artificial grass on balconies is increasingly becoming sought after by many homeowners. 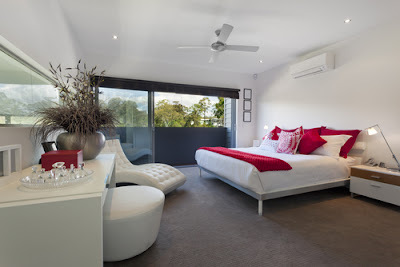 It is always beautiful to have your home appear natural as much as it can. The grass brings out serenity and a feeling of fulfillment to the homeowner. The beauty and authenticity are some of the factors that attract many homeowners to this synthetic grass. As a matter of fact, it changes the whole appearance of the home to a better one. The type of surface intended for laying out the artificial grass on is a crucial factor to be considered. Not all surfaces are suitable for the laying of the grass, and thus, you must consult widely before settling on the installation. 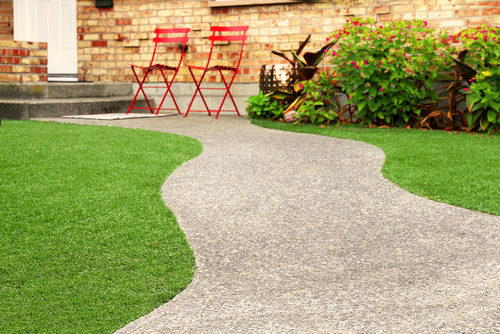 But the grass is very versatile in that it can be laid on wooden decking, paving, bricks and even concrete surfaces. It is advisable to ask for an expert opinion to avoid incurring unnecessary losses due to a bad surface. This grass should never be laid on an even surface. If you make this mistake while installing this grass, air pockets will form in the grass, and this will create an uneven look. The result will be destroying all the beauty that comes with this exterior type beautification. The surface should be made flat as much as possible. The surface must also have a good drainage or otherwise the expected result will never be achieved. Good drainage in imperative in this exercise. The grass cannot survive in a pool of water and thus the best thing that you can do is sorting out the drainage problems before installing it. From the designer’s perspective, the size of the balcony is a crucial factor also to be considered. If the balcony is very large, installing the artificial grass shape is suggested. This prevents the possible green overload at the same time you can break up the balcony into different areas. There can be a garden flower area to break the green fields for extra beautification.With three these factors having been put into consideration, then installing artificial grass becomes an easy task. Having gone through the mentioned factors and ticking them right, you will be ready initiate installation. These are the main steps that you must follow while installing the synthetic grass on your balcony. Geotextile is a permeable textile material that is laid on the surface to increase the stability of the grass. Apart from the provision of the stability, the fabric also plays other roles such as preventing weed growth. By covering the surface, it denies weeds the access to sunlight and ample aeration. It becomes impossible for the weed to grow. This is also a mechanism for maintaining the grass tidy and smart for a long time. You have to roll out the fabric, cut it to the required size and fix it to the edges posts with nails. This will keep it stretched and in the required shape till the process is over. It is also advisable to sprinkle the geotextile material with water to stick it to the base to unnecessary movements while laying grass. After cutting and laying out the geotextile material as required, the next step should be rolling out of the artificial grass. Once the geotextile has been laid out, roll out the artificial grass mat. The technique is basically the same as that of the laying out the geotextile. Use the same direction of the pile throughout the entire project but always go for one pointing to the place where the grass is viewed from. Having a look the back of the pile will not give the best of the artificial grass. Make sure the grass mat is covering the geotextile material at the bottom extensively to hide it. This will make it impossible to differentiate natural grass and the synthetic one. With the geotextile and the grass mat laid, the next step should be cutting and trimming the edges to get the perfect shape and appearance. The artificial grass is tough to cut, and this should be done with a strong and sharp knife. The cutting process should also be done keenly to avoid destroying the mat. You should start by cutting the edges off the backing. To avoid causing damages to the fibers, it is advisable to cut diagonally between the loops of the grass fibers.While cutting to size, it is advisable to allow for a 5 cm and above overlap of the grass. This helps in hiding the geotextile component beneath the grass. It will be unprofessional to leave the fabric part showing particularly if it is white colored. The last bit should be putting the seams together to form one rigid mat. This is the final stage of installing artificial grass on the balcony. It involves the putting tape underneath the seam and then applying the glue. Make sure that you have mixed the glue thoroughly by the use of the glue mixer. The glue should also be divided into smaller portions for its distribution on the tape easier. Use the glue spatula to apply the glue and do not forget to wear plastic gloves. Any resides of the glue must be removed instantly since it can cause perforations between the fibers. 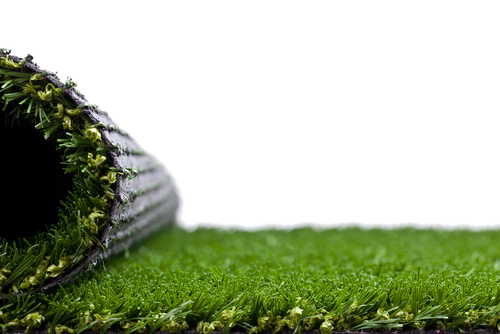 This is how you can successfully install artificial grass. If you can adhere to this manual step by step, then installing this grass on your balcony should never be a problem. The steps are very few and easy to follow, and thus, you can do it yourself. You must also consider the mentioned factors first to ensure that you have gotten value for your money. Hire the experts' services if you have an elaborate balcony, and there are many of them in Singapore to choose from. Most people in Singapore have carpet in some parts of their houses. Most of them use these carpets to keep their feet warm and cosy whereas some use to avoid sweeping the floor as they do not enjoy doing such works. But n order to maintain the looks of the carpet one has to keep them clean either himself or through professional carpet cleaning companies in Singapore. You can avoid the quickly spoiling of your carpets by cleaning them regularly through carpet cleaning service providers as it will help in removing their stains and dirt, protecting their colours as well as slow down the growth of mildews or molds in them. If you do not clean the carpets regularly, you are using daily, by hiring professional cleaners then your carpet can damage much before you expectations. But there are certain things most people didn't know about carpet cleaning that can shock them. Some of these less known jaw dropping facts are briefly discussed here under for your consideration. Dirt gets attracted to greasy residue on your carpet: Your carpets in Singapore receive various types of oily substance that may come from outside through you, your family members or pets and from your kitchen. This greasy substance dries on your carpet after some time but it works like a magnet to attract dirt from the environment, internal as well as external. This bonding between the greasy residue and dirt helps together in changing the colour of your carpet. This discoloration of the carpet can be permanent if the carpet cleaning by professional cleaners is ignored for long time. Your carpet can be crushed with sandy soil: Sandy soil comes into your home in Singapore through your feet or with air and gets accumulated in the form of sandpits in for off locations where it cannot be removed easily even by vacuum cleaning your home. But it can spread and get down into your carpet through its fibres. In this way the sandy soil can damage it whenever you walk on the carpet by grinding its fibres. You can stop this damage to your carpet by hiring a professional carpet cleaning service for its regular cleaning. Your carpet can affect your health: Your carpet traps a number of harmful pollutants from air including fungi, pollen, bacteria, chemicals, residues and tars from cigarette smoke as it works like a filter. All these harmful pollutants can affect your health when you breathe in. The chances of getting ill for you and your family increases if carpet cleaning is not done since long as your carpet has stored enough amount of pollutants to its full capacity. You will have to inhale these pollutants while breathing in which can make you ill temporarily or for long time. So regular cleaning of your carpet is necessary to remain healthy and get rid of these pollutants. Trigger allergies: The dust mites infested in the carpets and upholsteries can worsen the situation for the people suffering from various respiratory problems, allergies as well as skin diseases including asthma, rhinitis and eczema etc. They may contain various types of allergens that can trigger various types of allergies in various parts of your body including saliva, hair and skin etc. Stomach infection: Your carpet can contain various viruses which can upset your stomach even without coming in their direct contact. You can get rid of this problem by regular carpet cleaning through professional cleaners. Bacteria live longer in your carpet: Bacteria and other pollutants infested into your carpet live in it for long time unless they are cleaned properly by professional cleaners. One should hire carpet cleaning professionals after every 12 to 18 months to get rid of these bacteria and pollutants perfectly. They can not only deface your carpet but can also cause various types of health problems if not cleaned on regular basis. Carpets dirtier than toilets: The carpets of some people are many times dirtier than even an average street of a city. Some of them are dirtier than your toilet seat as they contain 4,000 times more viruses than the later one. So, regular carpet cleaning through professional cleaners becomes necessary to avoid such unhygienic condition which can affect not only the residents of that house in Singapore but also the people nearby it. Easy maintenance of carpet colours: You can maintain the colours of your carpet easily even without hiring a carpet cleaning service. You have to sprinkle common salt on the dirty spots and let it remain for at least one hour before vacuuming your carpet. It will brighten the colours of your carpet. Can be made beneficial for allergic people: The regular cleaning of the carpet can make the environment suitable for the allergic people. It will release the allergens and dust mites trapped into the fibres of the carpet. The condition can worsen for the allergy sufferers if the carpet cleaning is not done regularly and properly for their better maintenance. So after knowing all the shocking facts about carpet cleaning if you have not cleaned your carpet since long through professional company then instead of wasting time you should immediately find a good service provider and get it cleaned as soon as possible. Some people believe on misguiding myths like carpet should be cleaned only if it is stained or cleaning of the carpet can ruin it or the carpet will shrink by cleaning it frequently. But instead of believing on such myths you should you should find a really professional company at your first priority to clean your dirty carpets and live in healthy environment in Singapore. 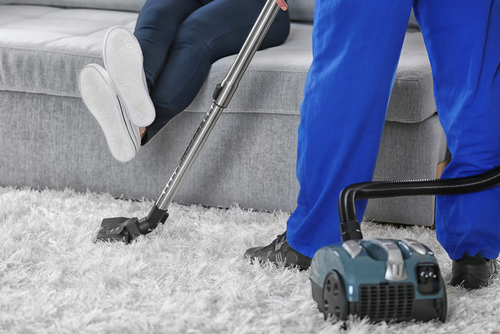 Though by hiring a professional carpet cleaning company you will increase your cost but the benefits you are getting after cleaning your carpets professionally will be worth any cost. If the cleaning of your carpets is due and you want to live a good and healthy life then you should immediately contact a professional cleaning service in Singapore for this purpose. They will clean your carpets in a very professional manner within your budget.